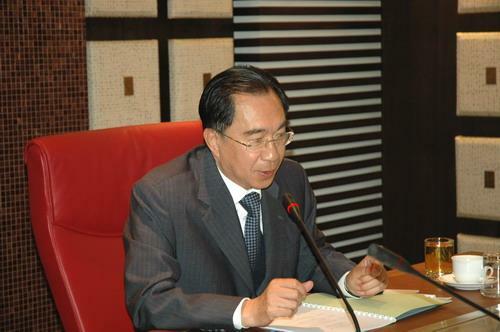 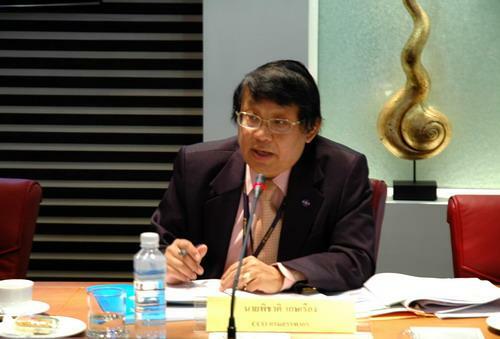 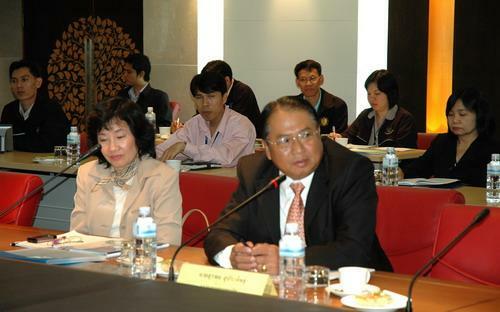 Mr. Sathit Limpongpan, the deputy Permanent Secretary of Ministry of Finance, presided over the 1st Chief Change Officer (CCO) Meeting for 2009, in which the Department?? 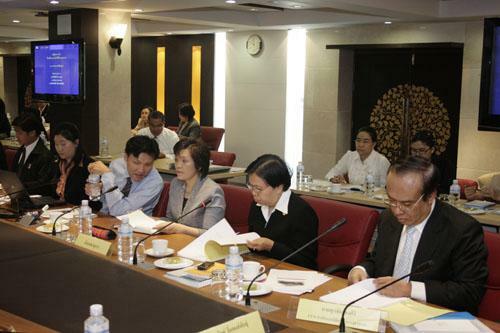 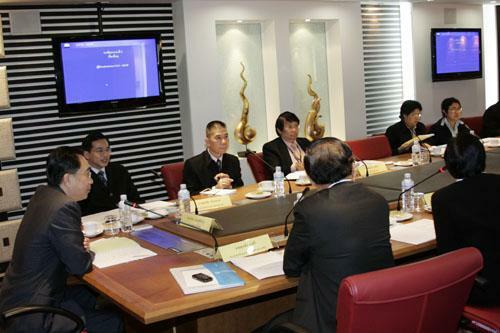 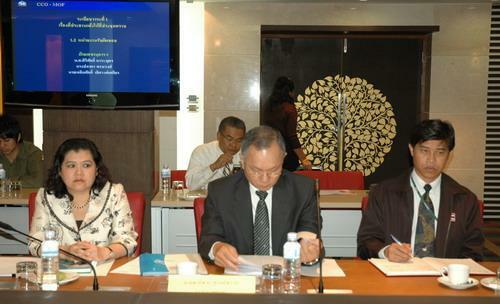 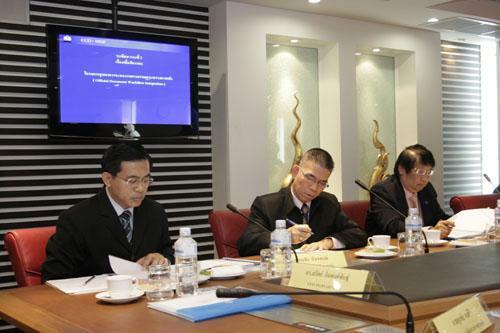 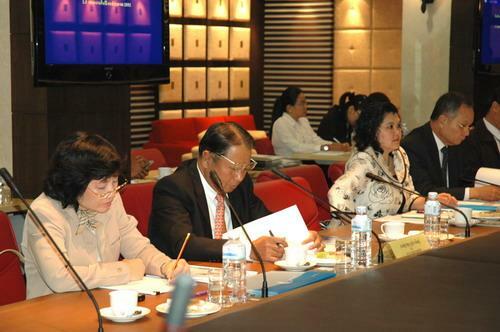 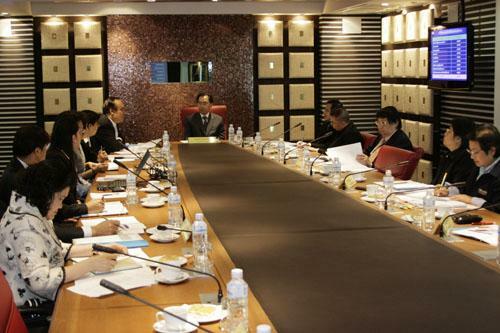 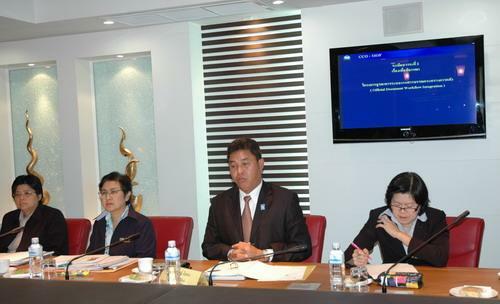 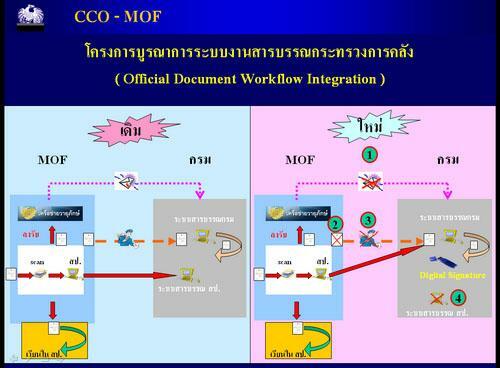 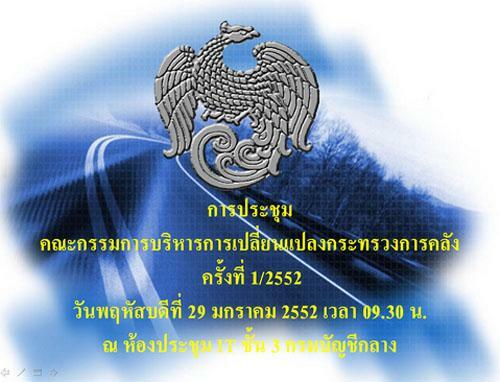 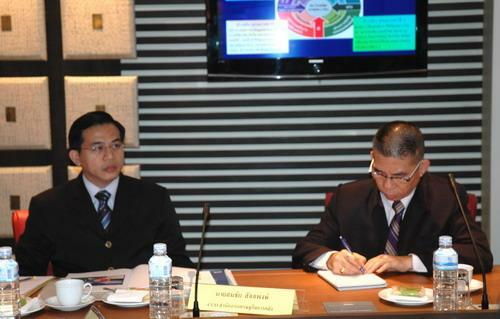 ?s CCO attended the meeting to drive the public sector development of Ministry of Finance to be in line with the strategic plan of Thai public sector development (B.E.2008-2012) and government?? 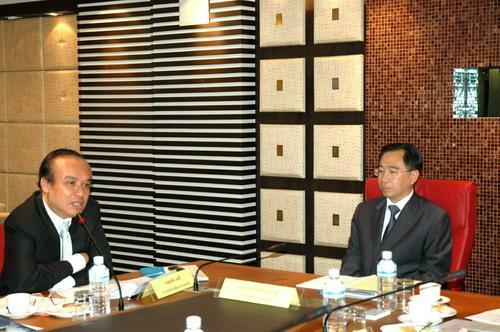 ?s policy, at IT Meeting Room, 3rd Floor, the Comptroller General?? 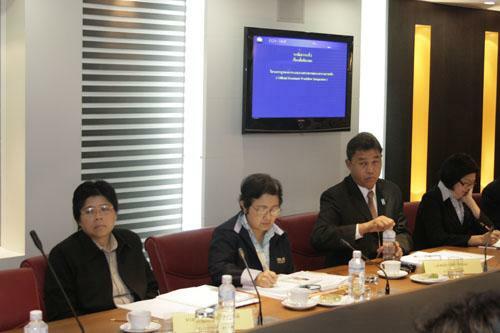 ?s Department (CGD), January 29 2009.